Fast Company published an exclusive about AirBnB at the end of November. The home sharing company proposed a new initiative called Backyard, which came from their division focused on the future. It is very ambitious, as it aims to rethink the entire process of designing, building, and updating homes. While the company’s move into the physical world of construction is the main headline, I’m more interested in one of the other details – that the homes will be modular. Modular structures are not a new idea, but they have not gained much traction in the residential world. The vast majority of homes that people live in today were built on site from lumber. Modular construction, where larger sections of a structure are built off-site, is more common in commercial development. 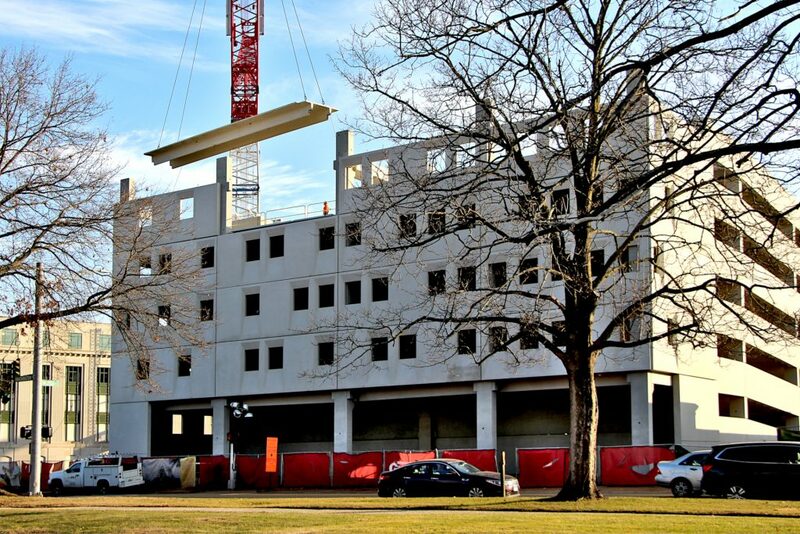 For example, the large parking garage that the State built on the corner of Buckingham and Washington near the Capitol building relied heavily on modules that were trucked in and assembled by crane. 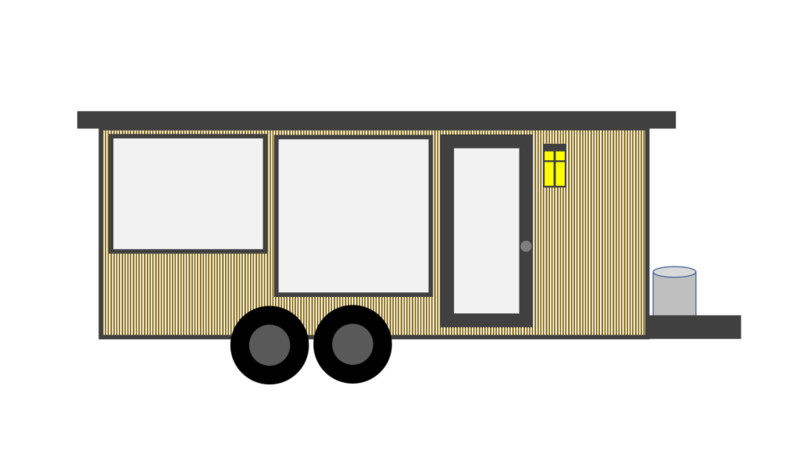 I like the idea of modular homes. 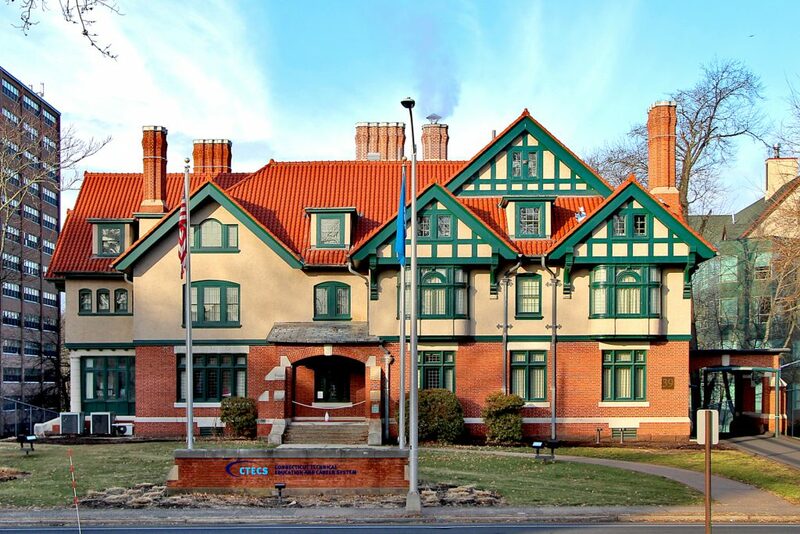 That might seem like a surprising position for an “old house” person to take, but if I ever built a new home then I would definitely look at modular options in order to increase the build quality and reduce the construction time. 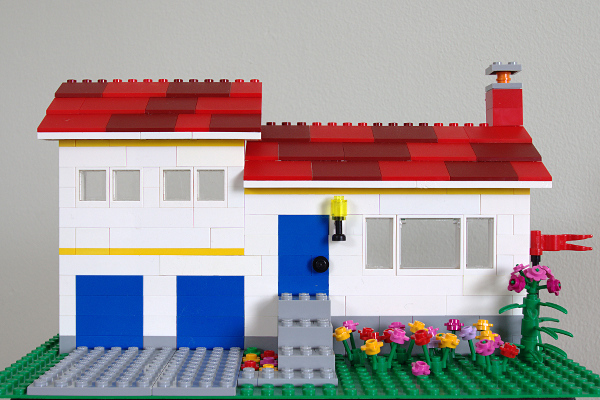 I would expect modular construction to save me money too. What is exciting about AirBnB getting into modular construction is that they have the potential to try the idea at a large scale. The Fast Company article noted that the company was valued at about $38 billion. As a point of comparison public homebuilder D.R. Horton, one of the largest in the country, had a market cap of about $13 billion at that time. 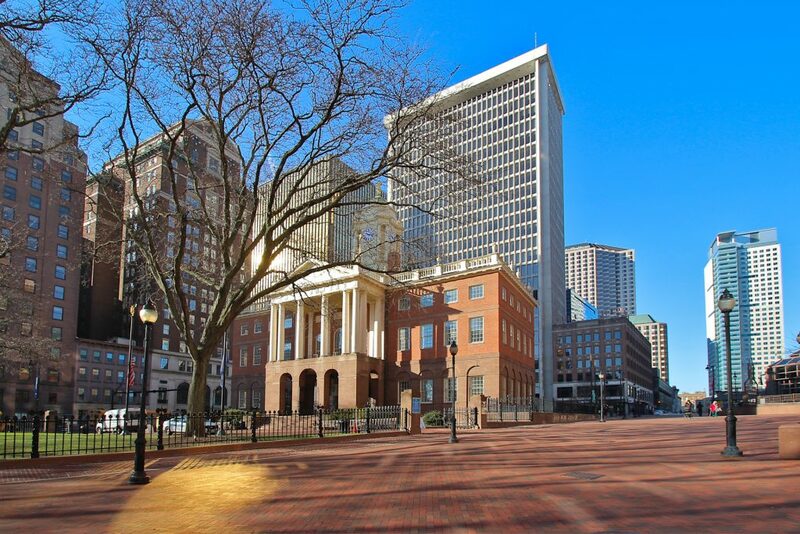 A large scale trial of modular homebuilding by AirBnB is unlikely to happen in Connecticut. We don’t have a large unmet demand for housing, and the available land is relatively far from the existing job centers. We’ll have to watch their experiment from a distance. Hopefully the combination of AirBnB’s drive to expand their business, their ability to finance the effort, and their fresh perspective on homebuilding will result in many home innovations and progress towards making modular construction the standard for new residential properties. Split level homes are a common sight in Greater Hartford. However, they don’t show up in all neighborhoods. 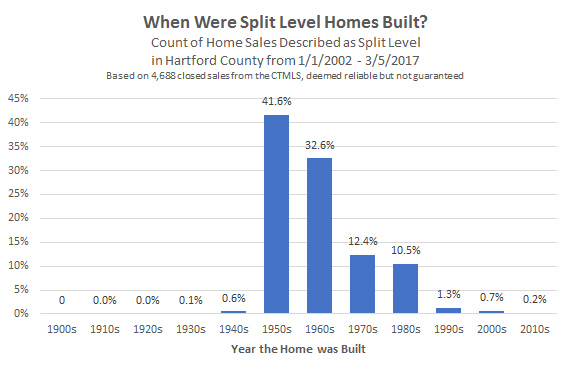 The vast majority of the split level homes in the county were built in the 1950s and 1960s, so expect to find them in neighborhoods developed in that era.